How to set up a call capture phone number in CallAction call capture software platform to track and capture leads. Streamline your lead generation with call capture phone numbers that connect with your CRM via Zapier and API integrations. Try a call capture phone number free 14-days. CallAction capture service let's you set up both toll free and local call capture phone numbers. Our phone numbers provide the highest call capture rate without the use of a toll-free phone number. 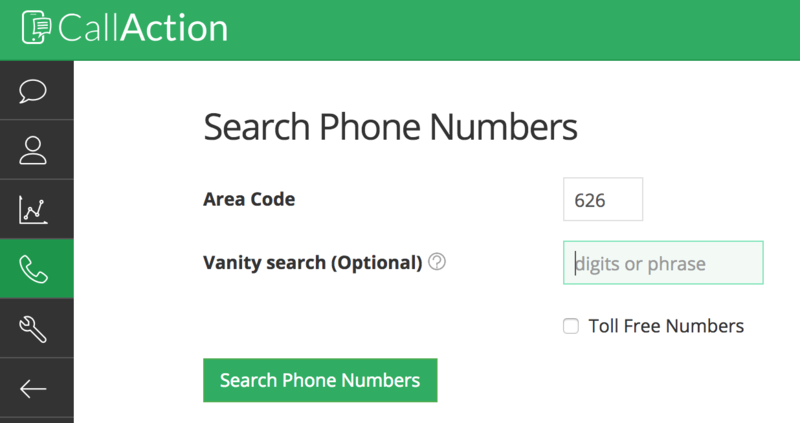 CallAction call capture phone numbers come with real-time reverse data append insights. You'll receive the following data. All marketing should contain a call to action to generate a call, text or email inquiry. Our lead capture system can capture all three. Use call capture phone numbers on the following marketing. Get reporting of captured calls with our call tracking. Calculate ROI of your lead generation efforts and save time by eliminating data-entry. Your new local call capture number is now active and ready to use. Done! Next be sure to setup a your CRM integration and customize your missed call automations. If you invest in marketing and lead generation, you should be using a call capture system. Sync your leads directly into your CRM and automate your lead follow-up and nurture with our text drip campaigns.